The government Tuesday said protests against the Citizenship (Amendment) Bill in the Northeast were happening due to certain "misplaced apprehensions" about the proposed legislation, that has been passed by Lok Sabha and awaits approval of the Upper House of Parliament. Union Minister of State for Home Kiren Rijiju said in Lok Sabha that political leaders from Northeastern states, including some chief ministers, have met Union Home Minister Rajnath Singh on various issues related to the region, including the Citizenship (Amendment) Bill and its provisions have been clarified to them. 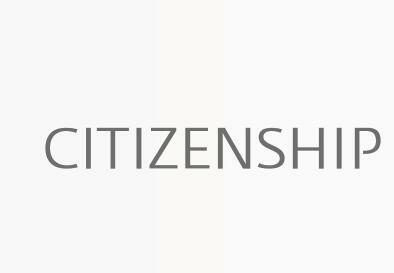 "The Citizenship (Amendment) Bill, 2019 was passed by the Lok Sabha in the Winter Session of the Parliament. There are reports of some protests due to certain misplaced apprehensions about the Bill," he said in a written reply to a question. Rijiju said the Centre has also apprised representatives of the Northeastern states about the steps taken to preserve the cultural, social and linguistic identity and heritage of people region. A high level committee to examine effectiveness of actions taken since 1985 to implement Clause 6 of the Assam Accord has already been constituted, he said. The government has also introduced a bill for amendment to Article 280 and the Sixth Schedule to the Constitution of India for improving financial resources and administrative powers of Autonomous District Councils of Assam, Meghalaya, Mizoram and Tripura to fulfil longstanding aspirations of tribal people of these states, he said. The Citizenship Amendment Bill allows according Indian citizenship to Hindus, Jains, Christians, Sikhs, Buddhists and Parsis from Bangladesh, Pakistan and Afghanistan after seven years of residence in India instead of 12 years, which is the norm currently, even if they do not possess any document.